We love craft beer at Ace Spirits. 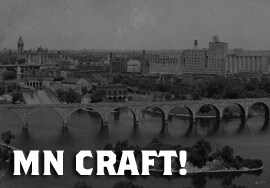 We love it even more when it's local and strive to stock the freshest, local-est beer from the great state of Minnesota! From Indeed, to Surly to that crazy dude brewing sours in his basement, we've got an awesome selection of local brew just itching for a good home. Swing by and check out our selection of fresh craft beer from Minnesota!